Travelers can visit Peru any time of year. Dry season starts in the second half of April and lasts until November. Daytime temps throughout the year are consistently moderate in the areas of Cusco, Machu Picchu and the Sacred Valley, however nighttime temperatures are cooler during the dry season and can drop below freezing. June, July and August are the most visited months and the weather is pleasant, however it is more crowded. During the wet season (December to April) you can expect it to shower at least three afternoons a week, however the rains generally come and go. If you don’t mind the rain, this time of year offers lush green countryside, orchids and wildflowers in bloom, and much smaller crowds at popular sights. Perhaps our favorite time to visit is the ‘shoulder season’ coming just before and just following the rainy season (the second half of April, May, October, November) when the weather is fairly dry and visits aren’t at their peak. Does Peru have any visa requirements or is there anything I need to do ahead of time to get into the country? Upon arrival North Americans and most European nationals will be granted a 90-day tourist visa free of charge. There are no other pre-departure actions needed other than ensuring your passport is valid at least 6 months beyond the dates of travel. Peru has a stable government and tourism has grown substantially in recent years. With the added tourist dollars, the government has made a concerted effort to keep travelers and their valuables safe. There have been no terrorist attacks in Peruvian tourist areas in many years, and the activities of the Shining Path are generally assumed to be isolated to a remote area of the Department of Ayacucho that most travelers would never visit. Travelers should take the same precautions that they would in a major US or European city. Pay attention to the advice of your guide and hotel reception and take common-sense precautions such as not going into unfamiliar areas alone. Stay in populated, well-lit areas at night and keep a close eye on personal belongings. Do not use loosely hanging bags or purses (zipper purses recommended) to help avoid the chances of petty theft. What immunizations and shots do I need to travel to Peru? No immunizations are currently required for travel to Peru. For any international travel the Centers for Disease Control recommend being up to date on routine vaccinations, and Hepatitis A and Typhoid vaccinations are also recommended. If traveling to the Peruvian Amazon, a yellow fever vaccine is recommended. This vaccination, which is valid for 10 years, must be administered at least 10 days before your arrival to be effective. It is recommended that travelers bring along their International Certificate of Vaccination or Prophylaxis (ICVP) as proof of vaccination. The mosquito-transmitted Zika Virus and Dengue are found in the Amazon region of Peru, and as such the CDC recommends travelers take extra precautions to avoid being bit by mosquitos. Use insect repellents with 25-30% Deet or 20% Picaridin, and wear long-sleeved shirts, long pants, socks and shoes to protect against mosquito bites. Malaria preventatives are also recommended if visiting the Peruvian Amazon. In accordance with the CDC, Knowmad Adventures does not advise travel to the Peruvian Amazon if you are pregnant. If you have a history of altitude sickness or have an easily upset stomach, we recommend consulting your medical professional regarding preventative medications. Ultimately it is a good idea to visit a travel clinic 4-8 weeks prior to any international travel. Since 2012 Inca Trail permits have steadily been sold out at least 2 months in advance, with permits selling out for the months of May to October typically around 4 months in advance. The trek’s popularity, increasingly stringent regulations, and the possibility of even fewer permits in the future ensures that this time period will only grow. It is worth noting that Peruvian airlines require a passport number to book flights so it is important you have a valid passport when booking. Unless otherwise noted, you will travel in a clean, comfortable newer private van such as a Mercedes Benz Sprinter, or possibly an SUV-style vehicle couples. Almost all flights within South America (other than to the Manu area of the Amazon) are on mid-sized jets such as 727s with a capacity of around 100 people. How difficult is hiking the Inca Trail? The Inca Trail involves 4 days of hiking with the average distance being 6.5 miles per day. For most people in moderate to good physical condition this takes on average 6-7 hours of hiking per day. There are significant ups and downs and the hike is at an average elevation of 10,000 ft. The general consensus is that people accustomed to backcountry hiking and camping will, although getting a great work out, have no problem enjoying the trek. For day-by-day distance details and descriptions please request the Inca Trail and Beyond detailed trip itinerary packet from Knowmad, or download the detailed itinerary. It is also important to set yourself up for success by spending at least two days in Cusco or the Sacred Valley acclimatizing prior to beginning the hike. How far in advance should I book my Inca Trail hike? How crowded is the Inca Trail? In 2012 the Peruvian Government put in place widespread new regulations for the Inca Trail. This has caused crowds to decrease although it is still common for most groups to hike amongst others throughout the day. Knowmad prefers that the hike be a more solitary experience, and is one of the very few operators that, by meeting stringent environmental practices, is able to stay at alternative campsites to the larger, standard sites. This allows us to be at different points of the trail throughout the day than most other groups, meaning you’ll typically see few people other than those within your group. What are the campsites like on the Inca Trail? Knowmad is one of the few permitted to camp in remote sites away from the crowds. Night one we camp near the archaeological sites of Wayna Q’ente and Llaqtapata in our private campsite. The following night we camp at Llulluchapampa outside the high-altitude indigenous Andean village of Huayllabamba with a breathtaking view of Mount Huayanay. The third night we camp in a beautiful clearing in the vicinity of Phyupatamarca (translates to the village on the edge of the clouds). This combination of sites ensures remoteness, sweeping views, and visits to lesser-known archaeological sites. What are the guides on the Inca Trail like? 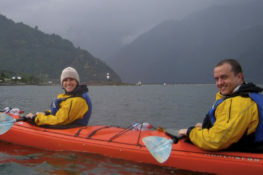 Knowmad Adventures Trail Guides are among the very best and most experienced guides on the trail. They are all from the surrounding areas of the Sacred Valley and Cusco; fluent in English as well as Spanish and most are fluent or conversational in the native tongue Quechua. In addition to being official Inca Trail Guides, they’re certified Wilderness First Responders, have training or degrees in a diverse range of fields such as tourism, history, culture, spirituality, ecology, anthropology and archaeology. Moreover, they are personable, likable, excited, positive people who thrive on sharing their region and heritage. 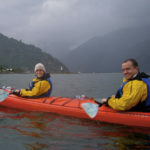 We receive rave reviews about our guides, a few of which can be seen on our traveler reviews page. Do you use porters on the Inca Trail and how are they compensated? Yes, Knowmad employs experienced porters to transport equipment. Most have worked with us for years; all are compensated well above the minimum and average salary and treated with repect and reverence. We never send them with overburdened loads, send independent food, tents and matresses, and transport them to and from the start/end points of the trek. Beyond carrying your things our porters offer insight into the indigenous cultures of Peru and are wonderful people. They are an important part of the Knowmad family and it is expected that Knowmad travelers treat them as such. Simply put, the food is scrumptious, hardy, and fresh. Breakfast, lunch, dinner and hearty snacks are prepared and provided for you. Meals are a mix of local specialties and international favorites; nutritious, healthy and delicious. Vegetarian meals are available upon request, and we can accommodate most dietary restrictions as well with advance notice. How big are the groups on the Inca Trail? 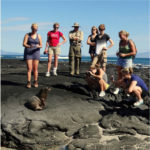 On our Fixed Departure group treks, which depart every Sunday and Wednesday, the average group size is 8 people during high demand dates and 4 people during less high demand dates. Most groups don’t exceed 8 people, and never exceed 12. Can we hike the Inca Trail privately? YES! 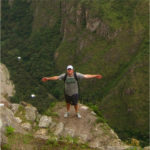 If you have a group of 6 we can run a private Inca Trail trek departing on the day you wish. If you are less than 6 but would like a private trek, we can do that as well but there will be a supplementary cost. Can we hike the Inca Trail without a guide? We’ve heard that the Inca Trail is sold out. Can we get permits when we arrive to Peru? We get this question fairly often when Knowmad and/or other reputable companies have told travelers that the Inca Trail permits are sold out. Whether a company is an established, reputable outfitter with an international presence in addition to operations offices in Peru such as Knowmad, or if they are a back-alley agency and 800 number, the fact remains that once permits are sold out on the official government website, they are sold out. If a company tells you that they pre-buy permits and will simply give you one of those, they are fraudulent, as the government requires exact passenger information to purchase a permit and your passport must match the passenger information registered on the permit when beginning the trek. Therefore, if you’ve been told the IT is sold out but someone is telling you they can get you a permit, you are being conned. How is water supplied while on the Inca Trail? In spite of there being a couple places along the trail to buy bottled water, we strongly recommend travelers bring a couple reusable water bottles to limit plastic waste. Water is taken from clear water springs then boiled, treated and filtered by cook staff and guides and available to hikers throughout the trek. What equipment does Knowmad Adventures provide for Inca Trail hikers? You will be supplied with all necessary camping gear for your Inca Trail trek other than sleeping bags (which are available for rent with advance notice, however most people prefer to have their own bag). This includes all cook gear and mess kit, expedition class tents (Eureka Outfitter Special Edition or similar models), dining tents, tables, chairs, toilet tents, water purifiers and thermarest self-inflading pads. Our equipment is inspected regularly and replaced on a regular basis. What equipment do I need to pack for the Inca Trail? Your own personal clothing, supplies, and a sleeping bag are all that you will need to bring. For a detailed packing list and clothing suggestions please see the Inca Trail packing list at the end of these FAQs or in the Inca Trail and Beyond detailed itinerary available by request or download here. The weight limit for your personal items to bring on the Inca Trail is 20 pounds. It’s best to bring a bag you intend to bring on the trail in addition to your main bag which will be left locked in our Cusco offices while you’re trekking. If needed, a duffel bag for your personal gear while on the trail will be supplied the night previous. What do I carry on the Inca Trail? What if I have a medical emergency while on the Inca Trail? Guides carry a fairly comprehensive first-aid kit while on the trek and are Wilderness First Responders as well as having Red Cross training in first aid, and are capable of treating basic medical problems (cuts/scrapes, blisters, travelers diarrhea, etc.). Our guides lead hundreds of treks each year and we have rarely had a traveler unable to complete the hike. At every checkpoint and in campsites there are also basic medical facilities and emergency support and communication systems. In the rare instance that someone is unable to complete the trek, they will be escorted back to Cusco and, in most cases, are able to rejoin the group back in Machu Picchu going by train. The nearest modern medical facilities are in Cusco. What does Knowmad do to minimize environmental impact on the Inca Trail? Specifically while on the trail we use environmentally friendly portable toilet systems, biodegradable materials, and facilitate hikers utilizing reusable water containers. Most importantly we transport all garbage back to Cusco. All staff and guides undergo continuing education in environmental sustainability. Our ground operations are certified ISO 14001 Environmental Management System and are certified by the Rainforest Alliance for our sustainable operations. 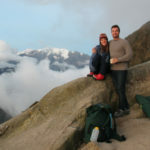 How will altitude affect me while hiking the Inca Trail? As everyone reacts differently to altitude, the best indication of how the Inca Trail’s high altitudes will affect you is your previous reaction to high altitudes. The average altitude throughout the trek is 10,000 ft, with altitudes ranging from 9,000 ft to 14,500 ft. The highest campsite is at 12,000 ft.
For this reason all hiking-intensive itineraries include at least 3 days of acclimatization before beginning your hike, which allows some amount of acclimatization and an opportunity to see how you will feel while hiking. Most visitors experience mild altitude symptoms such as fatigue, headache, trouble sleeping, or light-headedness during their first day or two at elevation. Guides on the Inca Trail have oxygen available for travelers having problems with the elevation. It is a reasonable precaution to ask your doctor about Diamox or other medications for altitude sickness. Severe altitude sickness is extremely rare and most often a result of a pre-existing condition. If it occurs the best remedy is to evacuate the traveler to a lower altitude. If you have a heart or lung condition such as high blood pressure, asthma, angina, etc, it is important to consult your doctor whether or not travel to high altitude is advised. What’s the best way to get money and pay for things while traveling in Peru? Although not as abundant as in the U.S., local ATMs distribute local Peruvian currency (called Nuevo Soles), use the most current exchange rate, and don’t charge a percentage. However the ATM will charge an international ATM fee (usually around $5 USD), but many banks have programs where they will refund the charges. Bring two cash cards if you can. Credit cards are often accepted at hotels, nice restaurants and shops as are American dollars. Cabs and markets may accept U.S. dollars, but we recommend only having greenbacks as backup funds. It is best to bring at least a hundred U.S. dollars in newer condition. You can also order Nuevos Soles from your bank for a fee. Do I need a converter/adapter for the electricity in Peru? Peru uses 220 volt, 60 cycle electricity. Travelers will require a voltage converter for 110-volt devices. Plugs are typically the 2-pronged flat type found in the US, though some facilities have been noted to use the 2 rounded prongs instead. In this case you would also need a plug adaptor. If you can, bring extra batteries and avoid having to charge things. If requiring an adapter or converter, often they can be provided on loan from the front desk of hotels. Tap water in Peru is generally not safe to drink. Bottled water is readily available at tourist sites, hotels, and restaurants. It is a good idea to use bottled water when brushing your teeth as well. Ice is not always made with boiled/bottled water, although it is commonly at hotels. Order your beverages without ice (“sin hielo”), or ask your guide if the ice is safe in a particular restaurant. 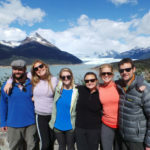 How will the altitude in Peru affect me? As everyone reacts differently to altitude, the best indication of how Peru’s high altitudes will affect you is your previous reaction to high altitudes. Cusco, Machu Picchu, Lake Titicaca, and the Inca Trail are at 11,600 ft, 6,000 ft, 12,600 ft, and an average of 10,000 ft respectively. For this reason we try to plan almost all trips to the highlands to depart Cusco immediately after landing, descending into the Sacred Valley of the Inca towards Machu Picchu. This is a great place not only to acclimatize, but also to begin your trip as the Sacred Valley offers access to off-the-beaten path indigenous communities. For all hiking-intensive itineraries at least 3 days of acclimatization are recommended before beginning your hike. Cusco is an ideal place to end your trip, as it’s a great city to explore at your leisure and is often the highest altitude people sleep in during their visit to Peru. If you are visiting Lake Titicaca we strongly urge this come after at least a week in the Cusco/Machu Picchu areas. Most visitors to the Peruvian Highlands report mild altitude symptoms such as fatigue, headache, trouble sleeping, or light-headedness during their first day or two at elevation. Many of our preferred hotels at altitude have oxygen available for travelers feeling the effects of the elevation. It is a reasonable precaution to ask your doctor about Diamox or other medications for altitude sickness. Severe altitude sickness is extremely rare and most often a result of a pre-existing condition. If it occurs the best remedy is to evacuate the traveler to a lower altitude. If you have a heart or lung condition such as high blood pressure, asthma, angina, etc., it is important to consult your doctor whether or not travel to high altitude is advised. Can I use my U.S. or European cell phone while traveling in Peru? What is the best way to communicate with people back home while in Peru? Email is the cheapest and fastest way to communicate while traveling in Peru. Most hotels will have public computers with access to email, and most towns also have internet cafes you may use for a small fee. If you wish to communicate by phone and your cell phone will not work, our guides can offer assistance to travelers wishing to purchase a pre-paid international phone card. How much should I budget for a Peru trip beyond the tour fee and international airfare? The markets and shops of Peru are paradise for shoppers; budget accordingly. How much should I tip while on my Peru trip? Beyond open eyes, mind and your sense of adventure it’s entirely up to you, but here are some guidelines to help. Peruvians are accustomed to seeing tourists so shorts, sandals, and jeans are perfectly acceptable. Weather varies dramatically from region to region and can change quickly in many places, so layerable, versatile, and comfortable clothes are a plus. What to pack for Lima? Lima’s average temperatures fluctuate more throughout the year than in the highlands. Seasons are opposite the U.S. and Europe, with the average temperatures between 70-80 F (21-28 C) during the warmer months (Nov to May). During the cooler months temperatures generally remain in the low 60s F at night and the high 60s F during the day. Lima doesn’t have a great deal of precipitation but is often cloudy and overcast in the morning due to a coastal fog. What to pack for Machu Picchu, Cusco, Sacred Valley (Peruvian Southern Highlands)? In the highlands there is less temperature fluctuation throughout the year, but nights and early mornings can by significantly colder than throughout the day. Comfortable, layerable clothing is definitely the rule of thumb for this region. Hiking boots are not a necessity. If visiting this region, a rain layer is an especially good idea. What to pack for hiking the Inca Trail? Personal first-aid kit – Guides carry a medical kit, but we suggest this for bruises and blisters. Knee or ankle braces are useful if you suffer from weakness or previous injury. Include any special medications you take. What should I pack for Alternative Inca Trail treks such as Choquequirao, Salkantay, or Ausangate? These trips do not technically have a weight limit, but as you will be provided gear it’s recommended you bring less than 20 pounds. It’s best to bring a bag you intend to bring on the trail in addition to your main bag which will be left locked in our Cusco offices while you’re trekking. If needed, a duffel bag for your personal gear while on the trail can be supplied the night previous. Multi-purpose, layerable, quick-dry clothing used for hiking worldwide as well as comfortable shoes is the recommendation. In addition we recommend bringing your own sleeping bag (0 to 15 degree F rated) as well as a pack towel sold at gear shops. With prior notice a sleeping bag can be rented. What should I pack for visiting the Amazon Rainforest? What should I pack while kayaking on Lake Titicaca? What to wear mountain biking near Machu Picchu? What to wear horseback riding in Peru? What shoes and footwear should I use for hiking the Inca Trail? For the Inca Trail and hiking intensive itineraries hiking boots are fine, however not a necessity. Comfortable walking shoes with good ankle support are sufficient for most people and are less bulky, therefore they work well for most itineraries. However if you have a well-worn comfortable pair of hiking boots you can fit easily in your suitcase or bag and are your preference, then by all means bring them. A change of shoes intended for leisure activities is recommended. How can I learn more about Peru? Knowing a lot about a country before you travel there can enrich your travels and help you meet and relate to more local people. To learn more about Peru we recommend consulting guidebooks such as Frommer’s, which has sections on history, politics, etc. In addition to our own, there are many websites as well with information on Peru. CONVERSATION IN THE CATHEDRAL by Nobel-winning Mario Vargas Llosa, this is a portrayal of Peru under the dictatorship of Manuel A. Odría in the 1950s, and deals with the lives of characters from different social strata. Many of Vargas Llosa’s other fictional novels take place in, or are commentaries on Peru. INCA LAND: EXPLORATIONS IN THE HIGHLANDS OF PERU by Hiram Bingham, is the classic traveler’s tale. The book was first published in 1922, a little more than a decade after the American author ‘discovered’ the ancient Inca citadel of Machu Picchu. THE WHITE ROCK: AN EXPLORATION OF THE INCA HEARTLAND by Hugh Thomson, describes a filmmaker’s search for hidden archaeological sites throughout the Peruvian Andes and Bolivia. It includes a lot of background on earlier travelers and explorers. AT PLAY IN THE FIELDS OF THE LORD by Peter Matthiessen, is a classic, superb and true-to-life novel about the conflicts between the forces of ‘development’ and indigenous peoples in the Amazon jungle. CUT STONES AND CROSSROADS: A JOURNEY IN THE TWO WORLDS OF PERU by Ronald Wright, is a comprehensive journey through some of Peru’s ancient cities and archaeological sites, and it comes with helpful guides to Quechua terminology and traditional Andean music. THE RIVER OF DOUBT By Candice Miller. At once an incredible adventure narrative and a penetrating biographical portrait, The River of Doubt is the true story of Theodore Roosevelt’s harrowing exploration of one of the most dangerous rivers on earth. THE LOST CITY OF Z: A TALE OF DEADLY OBSESSION IN THE AMAZON By David Grann. It tells the story of one of these adventurers, Percy Fawcett, “the last of the great Victorian explorers who ventured into uncharted realms with little more than a machete, a compass and an almost divine sense of purpose.